a few Pre-Release CD/Sleeves Available! 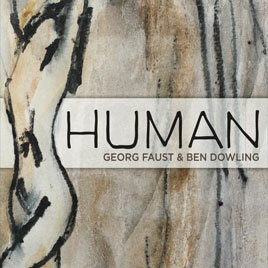 Read more: "Human" - New Release! Limited Edition DualDisc • Special Pricing Now! 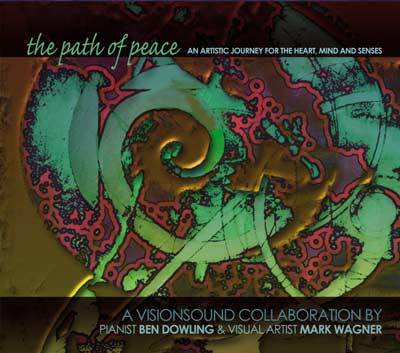 Visionsound presents, The Path of Peace - 53 minutes of absolute bliss—featuring the surround-sound recorded music of award-winning pianist Ben Dowling combined with the visual mastery of artist and National Endowment for the Arts (NEA) recipient Mark Wagner - unfolding in 12 fluid and evolving “Visual Music” pieces. The project is released on a two-sided “DualDisc” - which functions as both music-only CD and standard DVD for video playback. In Visual Music mode, The Path of Peace represents the evolution of art as a powerful, environmental technology—generating an immersive field of multi-sensory beauty, in all its 5.1 surround-sound and 16:9 wide-screen glory. Available at 50% Off NOW!